Dan Wasserman has been a political cartoonist at the Boston Globe since 1985. 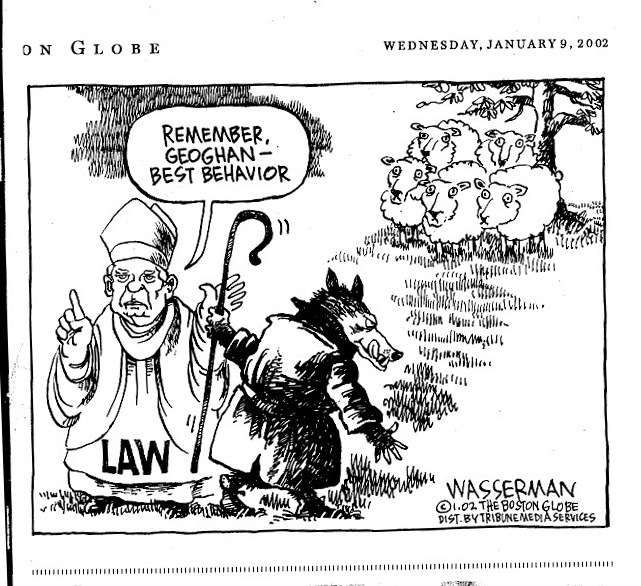 This cartoon of Cardinal Law and the wolf is his response to the Globe Spotlight Team report on Fr. Geoghan in January 2002.